The Arctic Mountain front suspension packs the essentials. The ProClimb – 7 mountain ski is 7″ at the tip, tapering to 6.5″ at the center to enhance your carving. Single-post, angled-out spindles help you shed some sled weight while maximizing quality and strength. 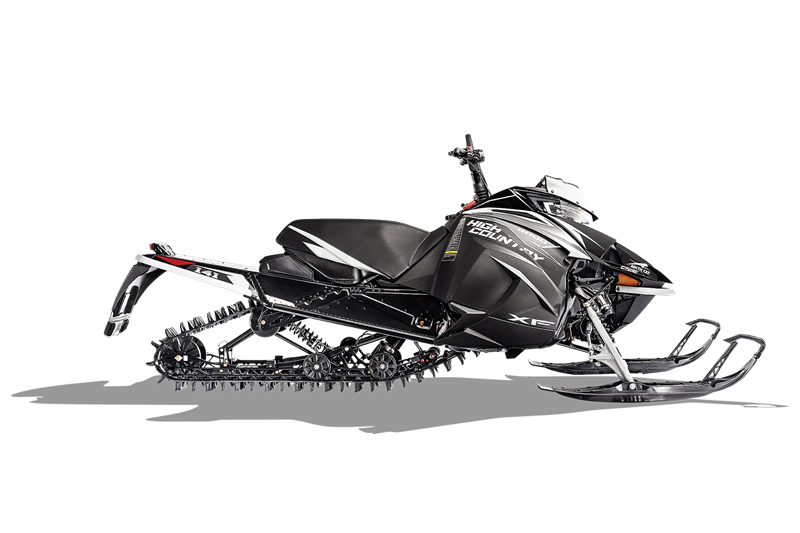 FOX® 1.5 ZERO QS3 ski and skid frame shocks feature three-position dial compression adjustability for quick and easy tuning for riding style and conditions. They are rebound adjustable and feature remote reservoir architecture for fade-free performance. The FLOAT-ACTION Rear Suspension features lightweight rails for optimal suspension travel and better ride quality in all conditions. The FLOAT-ACTION suspension incorporates mountain-specific geometry, delivering consistent track tension. The FOX® 1.5 ZERO QS3 shocks are engineered as a lightweight design with simplified adjustments and improved resistance to bottoming out. Simple one-hand adjustment allows you to quickly choose your handlebar height within a 4″ range for the way you ride. Raise it up when you’re in powder or lower it on the trail.